Mobile Gate Security has worked closely with leading experts in event security for many years. 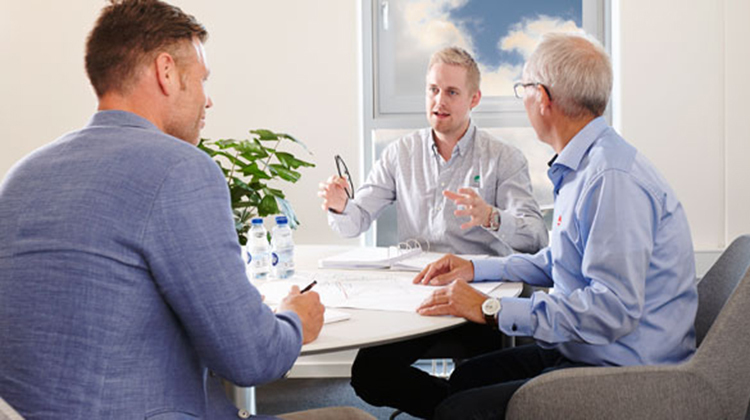 For example, in 2018 we supplied mobile security for the Ice Hockey World Championships at the Royal Arena, the Sailing World Cup in Aarhus, Roskilde Festival and to a large number of smaller events, such as the Garden Party in Kronprinsensgade in Copenhagen and “Vi elsker 90’erne.” (‘We Love the 90s’ concerts in Denmark). When any public event is organised, contingency planning, traffic planning and action cards must be prepared. You will also need to look at crowd management, hold meetings with the local authorities, etc. There are many tasks involved when an event is to be held. The planning must be comprehensive and may seem overwhelming. Let Mobile Gate Security help and guide you through all of the elements and ensure that your event is a secure and safe one. Naturally, we ensure this in close collaboration with leading experts in event safety and security. These experts have helped to make many major events safe and secure, including Eurovision 2013 and the Justin Bieber concert held in Aarhus. Contact us today and let us help you to organise your next event. We want to give the best advice to our customers and therefore we participate in ongoing educations. 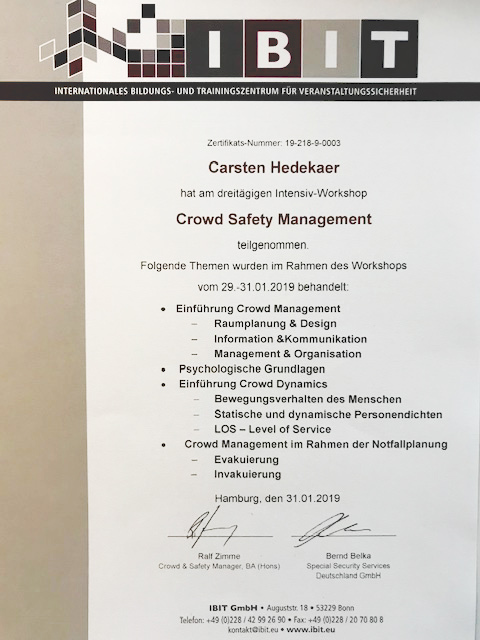 Latest, our Country Manager in Germany Carsten Hedekær has undergone intensive training in Crowd Safety Management – see diploma. You can read more about our expertise in event security and see case examples here.